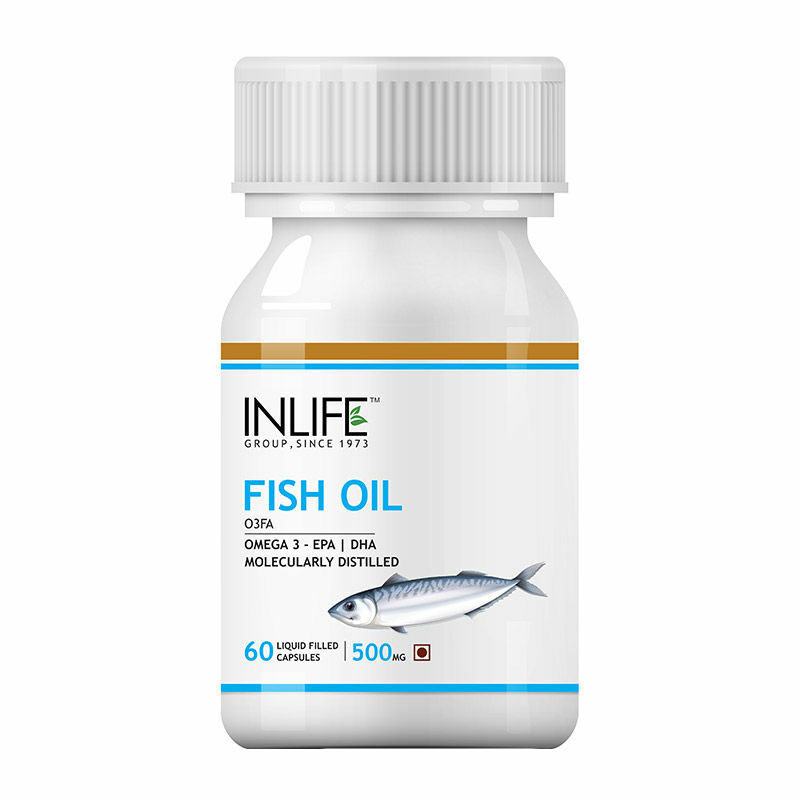 Inlife Fish Oil - Omega 3 is enriched with fatty acids, EPA and DHA which help to reduce inflammation, improves memory and heart health. 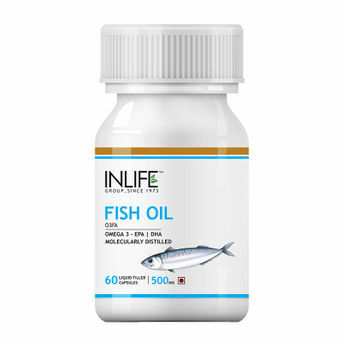 Each capsule of INLIFE Fish Oil comprises of 180mg EPA & 120mg DHA. Omega-3 keeps the cell membrane of the heart protected, healthy and flexible. These fatty acids cannot be produced in the body, hence needs to be consumed through diet or supplements. Omega-3 breaks down the clots from the brain and arteries preventing stroke or heart attack.